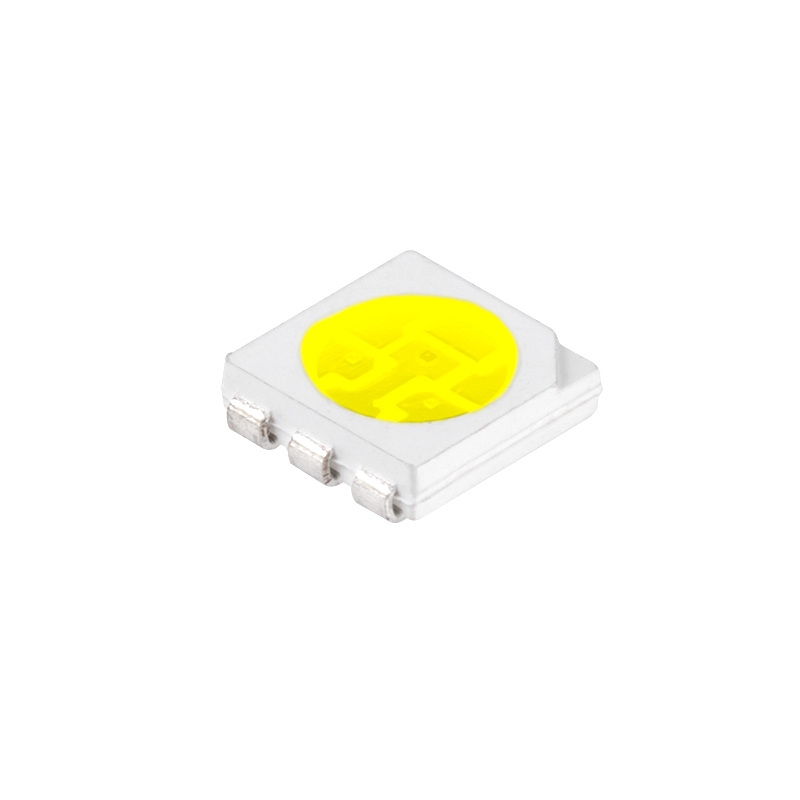 This 5050 SMD 3 chip surface mount component LED in Warm White features 19 lumens of 3100K color temperature and a 120 degree viewing angle. See spectral graph for actual wavelength measurement. Price listed is per unit, however, bulk discounts are available and are automatically applied to your order. Also available in Pure White and Cool White. New life for old solar. I found SuperBright through a search. I had some solar lights that quite working. Since I'm very electrically capable, diagnosed all my failing LED/Solar lamps. 2 of those lamps had faulty LED's and the manufacturers don't sell parts since they are all listed as not containing serviceable parts inside. That's a statement that's been posted on products ever since the first solid state radios/TV's hit the market in the 50's and 60's. It's something I've never accepted. So after diagnosing my garden solar lamps and finding Super Bright, they listed several options for LED's to fit these lamps. I placed my order, the cost was far less than anticipated, delivery was fantastic and packaging more than adequate. My new LED's were solder into position within 30 minutes of delivery and the LED's I chose actually have a nicer hue than the originals. So not only are my solar lights working, for me are better than new. Thank You.